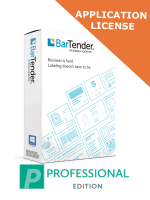 Label software : ZebraDesigner Pro, Seagull Scientific BarTender. BarTender and ZebraDesigner software allows you to transform your business information into the labels, barcodes, RFID tags, smartcards, packing slips and pallet labels that drive your company. The new and updated BarTender 2019 software comes in three different levels: professional, enterprise and automation edition. To learn about the difference between the different types of BarTender 2019 software and learn which one is the right choice for your company read our handy comparison guide: https://www.smartlabelling.co.uk/bartender-compare-software.html. These specifications apply to the latest version of BarTender (2019). 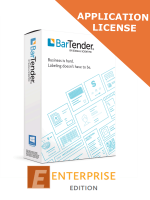 Smart Print and Labelling are a specialist reseller for ZebraDesigner and Seagull Scientific BarTender label barcode software.